Hosted by Polk County Conservation and Cumulus Media, this family friendly-event is fun for all ages! 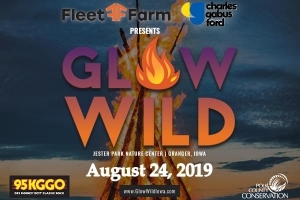 Glow Wild is held at the Jester Park Nature Center in Granger, Iowa right outside of the Des Moines metro area. 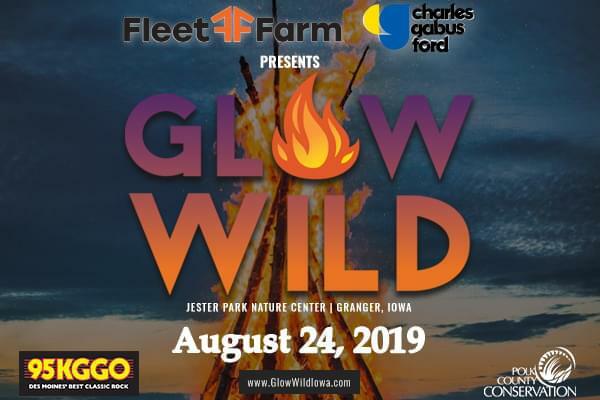 Join us for live music by the Georgia Satellites with local Des Moines band, Suede, as their opener, fun programs, canoeing, horse-drawn wagon rides, signature bonfire, glow-in-the-dark climbing wall, tethered hot air balloon rides, and many more fun activities throughout the evening! Click HERE and grab your tickets!